About Us || Sadhoo Enterprises Ltd. || Defining Quality Solutions Since 1942 || Kannur, Kerala, India. Decades ago, saints from northern and other parts of the country reaching Kannur during their pilgrimage, used to take rest at Swami Madam. The founder of SADHOO Establishment, late P.M. Kunjiraman, having his small establishment near the Swami Madam served these saints with awe and respect. The regular contacts with the saints were the inspiration for beginning of SADHOO Even today; the blessings of these divine saints lead us forward. 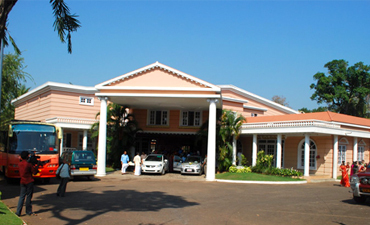 Sadhoo Enterprises, a leading business conglomerate of Malabar region has interest spread over to multifarious fields. The inception of Sadhoo Enterprises, 7 decades ago, was a humble venture by its founder, late Shri P.M. Kunjiraman. The founder who had an unambiguous foresight on business potentialities and whose interest always stood for the labor class, choose Beedi as his initial media and thus SADHOO BEEDI concept was transformed into accomplishment. Beedi is a hand-rolled tobacco product enjoyed by millions in India. Maintaining the consistency of quality coupled with hard work, his team could is no time conquer a vast market. SADHOO BEEDI is ranked No. 3 in respect of the market share today. The firm currently provides direct employment to thousands, and indirectly to countless, with its network in Kerala, Karnataka and Tamil Nadu. Sadhoo Beedi marketing network covers almost all southern states of India. "Sadhoo Enterprises" - The Enterprises is in the realm of outstanding achievements. 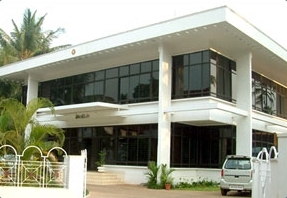 From its modest beginning in the year 1952, today it is a noted organization that defines duality solutions to the benefit of the entire society, Located at Kannur in Kerala, the establishment proved its mettle in the domestic market, within a short span. The dynamic leadership and unparalleled vision of the founder Mr. P.M. Kunhiraman [Late] and a team of young enthusiastic professionals enabled "Sadhoo" to foray into the competent market and become a leader on its own. Obviously, the insight, innovation and broad thinking of present management, ensured the company adapting itself to the changing times – technologies - markets. The metamorphosis has ushered in a new dynamism and a new outlook -which eventually lead to the overwhelming success of the organization. It is admitted that the trust and the confidence of the well-wishers has been the source of inspiration to venture into pastures a new. © 2015 Sadhoo Enterprises Ltd. All Rights Reserved.